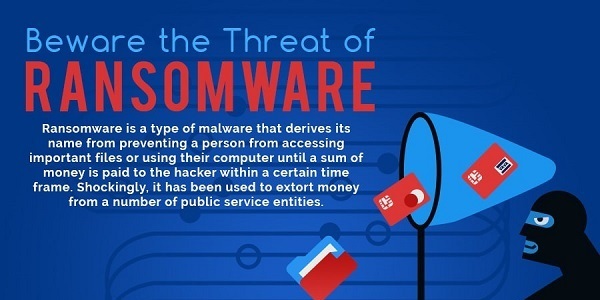 Ransomware is a malicious computer activity which derives its name from the nature in which hackers infiltrate your device. By rendering it unusable until such time as you pay a defined fee, you are essentially being held to ransom for the use of your computer. It’s a highly advanced and damaging activity that has been targeted not only at individual users, but even schools and hospitals. Ransomware is lethal in the craftiness that is involved. A computer user will open an email attachment, believing it to be a perfectly normal file when it is actually a virus that will cause certain files to become encrypted by the hacker. The user is then told to pay a ransom within a set time frame if the files are to be decrypted, or else risk further action. If the hacker is truly rotten, they will take the ransom fee from you and still not release your encrypted files. This opens up a debate as to whether ransomware victims should proceed with paying the ransom at all. Once a ransomware attack is made, it is nearly impossible for the target to resolve it without losing money or files. It’s a classic case of prevention being preferable to cure, so if you see unsolicited emails with attachments, they are best consigned to your junk folder.